listen)) is one of the thirteen provinces and territories of Canada. It is bordered to the west by the province of Ontario and the bodies of water James Bay and Hudson Bay; to the north by Hudson Strait and Ungava Bay; to the east by the Gulf of Saint Lawrence and the province of Newfoundland and Labrador; and to the south by the province of New Brunswick and the U.S. states of Maine, New Hampshire, Vermont, and New York. It also shares maritime borders with Nunavut, Prince Edward Island, and Nova Scotia. Quebec is Canada's largest province by area and its second-largest administrative division; only the territory of Nunavut is larger. It is historically and politically considered to be part of Central Canada (with Ontario). Quebec is the second-most populous province of Canada, after Ontario. It is the only one to have a predominantly French-speaking population, with French as the sole provincial official language. Most inhabitants live in urban areas near the Saint Lawrence River between Montreal and Quebec City, the capital. Approximately half of Quebec residents live in the Greater Montreal Area, including the Island of Montreal. English-speaking communities and English-language institutions are concentrated in the west of the island of Montreal but are also significantly present in the Outaouais, Eastern Townships, and Gaspé regions. The Nord-du-Québec region, occupying the northern half of the province, is sparsely populated and inhabited primarily by Aboriginal peoples. The climate around the major cities is four-season continental with cold and snowy winters combined with warm to hot humid summers, but farther north long winter seasons dominate and as a result the northern areas of the province are marked by tundra conditions. Even in central Quebec, at comparatively southerly latitudes, winters are severe in inland areas. The Province of Quebec was founded in the Royal Proclamation of 1763 after the Treaty of Paris formally transferred the French colony of Canada to Britain after the Seven Years' War. The proclamation restricted the province to an area along the banks of the Saint Lawrence River. The Quebec Act of 1774 expanded the territory of the province to include the Great Lakes and the Ohio River Valley and south of Rupert's Land, more or less restoring the borders previously existing under French rule before the Conquest. The Treaty of Versailles ceded territories south of the Great Lakes to the United States. After the Constitutional Act of 1791, the territory was divided between Lower Canada (present-day Quebec) and Upper Canada (present-day Ontario), with each being granted an elected legislative assembly. In 1840, these become Canada East and Canada West after the British Parliament unified Upper and Lower Canada into the Province of Canada. This territory was redivided into the Provinces of Quebec and Ontario at Confederation in 1867. Each became one of the first four provinces. Located in the eastern part of Canada, and (from a historical and political perspective) part of Central Canada, Quebec occupies a territory nearly three times the size of France or Texas, most of which is very sparsely populated. Its topography is very different from one region to another due to the varying composition of the ground, the climate (latitude and altitude), and the proximity to water. The Saint Lawrence Lowland (south) and the Canadian Shield (north) are the two main topographic regions, and are radically different. The Saint Lawrence River has some of the world's largest sustaining inland Atlantic ports at Montreal (the province's largest city), Trois-Rivières, and Quebec City (the capital). Its access to the Atlantic Ocean and the interior of North America made it the base of early French exploration and settlement in the 17th and 18th centuries. Since 1959, the Saint Lawrence Seaway has provided a navigable link between the Atlantic Ocean and the Great Lakes. Northeast of Quebec City, the river broadens into the world's largest estuary, the feeding site of numerous species of whales, fish, and seabirds. The river empties into the Gulf of Saint Lawrence. This marine environment sustains fisheries and smaller ports in the Lower Saint Lawrence (Bas-Saint-Laurent), Lower North Shore (Côte-Nord), and Gaspé (Gaspésie) regions of the province. The Saint Lawrence River with its estuary forms the basis of Quebec's development through the centuries. At the same time, many affluent rivers testify to the exploration of land, among them Ashuapmushuan, Chaudière, Gatineau, Manicouagan, Ottawa, Richelieu, Rupert, Saguenay, Saint-François, and Saint-Maurice. 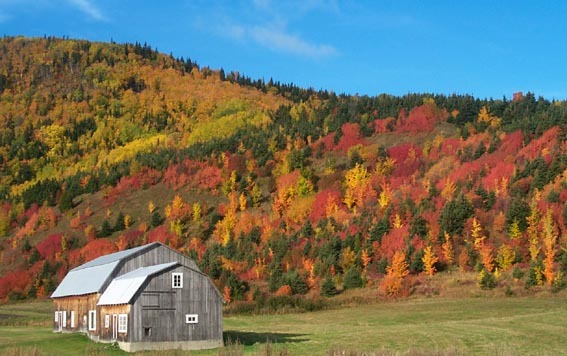 The four seasons in Quebec are spring, summer, autumn and winter, with conditions differing by region. They are then differentiated according to the insolation, temperature and precipitation of snow and rain. Quebec is divided into four climatic zones: arctic, subarctic, humid continental and East maritime. From south to north, average temperatures range in summer between 25 and 5 °C (77 and 41 °F) and, in winter, between -10 and -25 °C (14 and -13 °F). In periods of intense heat and cold, temperatures can reach 35 °C (95 °F) in the summer and −40 °C (−40.0 °F) during the Quebec winter, They may vary depending on the Humidex or Wind chill. On the edge of the Ungava Bay and Hudson Strait is the tundra, whose flora is limited to a low vegetation of lichen with only less than 50 growing days a year. The tundra vegetation survives an average annual temperature of −8 °C (17.6 °F). The tundra covers more than 24% of the area of Quebec. Further south, the climate is conducive to the growth of the Canadian boreal forest, bounded on the north by the taiga. Coureurs des bois, voyageurs and Catholic missionaries used river canoes to explore the interior of the North American continent. They establishing fur trading forts on the Great Lakes (Étienne Brûlé 1615), Hudson Bay (Radisson and Groseilliers 1659–60), Ohio River and Mississippi River (La Salle 1682), as well as the Saskatchewan River and Missouri River (de la Verendrye 1734–1738). Authorities in New France became more aggressive in their efforts to expel British traders and colonists from the Ohio Valley. They began construction of a series of fortifications to protect the area. In 1754, George Washington launched a surprise attack on a group of Canadien soldiers sleeping in the early morning hours. It came at a time when no declaration of war had been issued by either country. This frontier aggression known as the Jumonville affair set the stage for the French and Indian War (a US designation; in Canada it is usually referred to as the Seven Years' War, although French Canadians often call it La guerre de la Conquête ["The War of Conquest"]) in North America. By 1756, France and Britain were battling the Seven Years' War worldwide. In 1758, the British mounted an attack on New France by sea and took the French fort at Louisbourg. The Quebec Act provided the people of Quebec their first Charter of Rights and paved the way to later official recognition of the French language and French culture. The act also allowed Canadiens to maintain French civil law and sanctioned freedom of religion, allowing the Roman Catholic Church to remain, one of the first cases in history of state-sanctioned freedom of religious practice. On June 27, 1775, General George Washington decided to attempt an invasion of Canada by the American Continental Army to wrest Quebec and the St. Lawrence River from the British. the invasion failed when British reinforcements came down the St. Lawrence in May 1776 and the Battle of Trois-Rivières turned into a disaster for the Americans. The army withdrew to Ticonderoga. Although some help was given to the Americans by the locals, Governor Carleton punished American sympathizers and public support of the American cause came to an end. In 1778, Frederick Haldimand took over for Guy Carleton as governor of Quebec. In 1837, residents of Lower Canada – led by Louis-Joseph Papineau and Robert Nelson – formed an armed resistance group to seek an end to the unilateral control of the British governors. They made a Declaration of Rights with equality for all citizens without discrimination and a Declaration of Independence of Lower-Canada in 1838. Their actions resulted in rebellions in both Lower and Upper Canada. An unprepared British Army had to raise militia force; the rebel forces scored a victory in Saint-Denis but were soon defeated. When the United Kingdom declared war on August 4, 1914, Canada was automatically involved as a dominion. About 6,000 volunteers from Quebec participated on the European front. Although reaction to conscription was favourable in English Canada the idea was deeply unpopular in Quebec. The Conscription Crisis of 1917 did much to highlight the divisions between French and English-speaking Canadians in Canada. Beginning in 1963, a paramilitary group that became known as the Front de libération du Québec (FLQ) launched a decade-long series of propaganda and terrorism that included bombings, robberies and attacks directed primarily at English institutions, resulting in at least five deaths. In 1970, their activities culminated in events referred to as the October Crisis when James Cross, the British trade commissioner to Canada, was kidnapped along with Pierre Laporte, a provincial minister and Vice-Premier. Laporte was strangled with his own rosary beads a few days later. In their published Manifesto, the militants stated: "In the coming year Bourassa will have to face reality; 100,000 revolutionary workers, armed and organized." At the request of Premier Robert Bourassa, Prime Minister Pierre Trudeau invoked the War Measures Act. Lévesque and his party had run in the 1970 and 1973 Quebec elections under a platform of separating Quebec from the rest of Canada. The party failed to win control of Quebec's National Assembly both times – though its share of the vote increased from 23 percent to 30 percent – and Lévesque was defeated both times in the riding he contested. In the 1976 election, he softened his message by promising a referendum (plebiscite) on sovereignty-association rather than outright separation, by which Quebec would have independence in most government functions but share some other ones, such as a common currency, with Canada. On November 15, 1976, Lévesque and the Parti Québécois won control of the provincial government for the first time. The question of sovereignty-association was placed before the voters in the 1980 Quebec referendum. During the campaign, Pierre Trudeau promised that a vote for the "no" side was a vote for reforming Canada. Trudeau advocated the patriation of Canada's Constitution from the United Kingdom. The existing constitutional document, the British North America Act, could only be amended by the United Kingdom Parliament upon a request by the Canadian parliament. Quebec is unique among the provinces in its overwhelmingly Roman Catholic population, though recently with a low church attendance. This is a legacy of colonial times when only Roman Catholics were permitted to settle in New France. The 2001 census showed the population to be 90.3 percent Christian (in contrast to 77 percent for the whole country) with 83.4 percent Catholic Christian (including 83.2 percent Roman Catholic); 4.7 percent Protestant Christian (including 1.2 percent Anglican, 0.7 percent United Church; and 0.5 percent Baptist); 1.4 percent Orthodox Christian (including 0.7 percent Greek Orthodox); and 0.8 percent other Christian; as well as 1.5 percent Muslim; 1.3 percent Jewish; 0.6 percent Buddhist; 0.3 percent Hindu; and 0.1 percent Sikh. An additional 5.8 percent of the population said they had no religious affiliation (including 5.6 percent who stated that they had no religion at all). English is not designated an official language by Quebec law. However, both English and French are required by the Constitution Act, 1867 for the enactment of laws and regulations and any person may use English or French in the National Assembly and the courts of Quebec. The books and records of the National Assembly must also be kept in both languages. Until 1969, Quebec was the only officially bilingual province in Canada and most public institutions functioned in both languages. English was also used in the legislature, government commissions and courts. The provincial debt-to-GDP ratio peaked at 50% in fiscal year 2014-2015, and is projected to decline to 40% in 2021-2022. The credit rating of Quebec is currently Aa2 according to the Moody's agency. In June 2017 S&P rated Quebec as an AA- credit risk, surpassing Ontario for the first time. Approximately 180 000 Quebeckers are currently working in different field of information technology. Approximately 52% of Canadian companies in these sectors are based in Quebec, mainly in Montreal and Quebec City. There are currently approximately 115 telecommunications companies established in the province, such as Motorola and Ericsson . About 60 000 people currently working in computer software development. Approximately 12 900 people working in over 110 companies such as IBM, CMC, and Matrox. The multimedia sector is also dominated by the province of Quebec. Several companies, such as Ubisoft settled in Quebec since the late 1990s. The mining industry accounted for approximately 6.3% of Quebec's GDP. It employs approximately 50,000 people in 158 different companies. Sports in Quebec constitutes an essential dimension of Quebec culture. The practice of sports and outdoor activities in Quebec was influenced largely by its geography and climate. Ice hockey remains the national sport. This sport, which was played for the first time on March 3, 1875, at the Victoria Skating Rink in Montreal and promoted over the years by numerous achievements of the centenary of the Montreal Canadiens, still raises passions. Other major sports include Canadian Football with the Montreal Alouettes, soccer with the Montreal Impact, the Grand Prix du Canada Formula 1 racing with drivers such as Gilles Villeneuve and Jacques Villeneuve, and professional baseball with the former Montreal Expos. During its history, Quebec has hosted several major sporting events; including the 1976 Summer Olympics, the Fencing World Championships in 1967, track cycling in 1974, and the Transat Québec-Saint-Malo race created for the first time in 1984. ^ Office Québécois de la langue francaise. "Status of the French language". Government of Quebec. Archived from the original on May 14, 2011. http://www.oqlf.gouv.qc.ca/english/charter/index.html. Retrieved November 10, 2010. ^ "Gross domestic product, expenditure-based, by province and territory (2015)". Statistics Canada. November 9, 2016. Archived from the original on October 16, 2012. http://www.statcan.gc.ca/tables-tableaux/sum-som/l01/cst01/econ15-eng.htm. Retrieved January 13, 2017. ^ Canada Post (January 17, 2011). "Addressing Guidelines". Canada Post Corporation. Archived from the original on June 1, 2008. http://www.canadapost.ca/tools/pg/manual/PGaddress-e.asp#1380608. Retrieved July 12, 2011. ^ a b c d e f Quebec Portal (September 29, 2010). "National Flag and Emblems". Government of Quebec. Archived from the original on July 20, 2011. http://www.gouv.qc.ca/portail/quebec/pgs/commun/portrait?id=portrait.drapeau&lang=en. Retrieved July 12, 2011. ^ According to the Canadian government, Québec (with the acute accent) is the official name in French and Quebec (without the accent) is the province's official name in English; the name is one of 81 locales of pan-Canadian significance with official forms in both languages Script error. In this system, the official name of the capital is Québec in both official languages. The Government of Quebec renders both names as Québec in both languages. ^ "Explore Québec". Québec Original. Archived from the original on October 2, 2015. https://www.quebecoriginal.com/en/discover/people-of-quebec. Retrieved October 2, 2015. ^ a b "Canada". Berkley Center for Religion, Peace, and World Affairs. Archived from the original on February 5, 2011. http://berkleycenter.georgetown.edu/resources/countries/canada. Retrieved December 13, 2011. See drop-down essay on "History Since 1960"
^ "Routine Proceedings: The Québécois". Hansard of 39th Parliament, 1st Session; No. 087. Parliament of Canada. November 22, 2006. Archived from the original on November 30, 2007. http://www.parl.gc.ca/HousePublications/Publication.aspx?DocId=2528725&Language=E&Mode=1&Parl=39&Ses=1#SOB-1788846. Retrieved April 30, 2008. ^ Poitras, François (January 2004). "Regional Economies Special Report Micro-Economic Policy Analysis" (PDF). Industry Canada. Archived from the original on June 11, 2008. https://web.archive.org/web/20080611170023/http://www.ic.gc.ca/epic/site/eas-aes.nsf/vwapj/srreo200401e.PDF/%24FILE/srreo200401e.PDF. Retrieved May 15, 2008. ^ "Canada: A People's History – The birth of Quebec". Canadian Broadcast Corporation. 2001. Archived from the original on March 5, 2006. https://web.archive.org/web/20060305102138/http://history.cbc.ca/history/?MIval=EpContent.html&series_id=1&episode_id=2&chapter_id=4&page_id=4&lang=E. Retrieved August 26, 2006. ^ Canadian Association of Geographers (1968). Canada: a Geographical Interpretation. Taylor & Francis. p. 33. GGKEY:E1DDKEKZ35S. ISBN 9780458906000. https://books.google.com/books?id=voYOAAAAQAAJ&pg=PA33. ^ Henry B. Peirce; L.H. Everts & Co (1877). History of Calhoun County, Michigan ... With illustrations descriptive of its scenery, palatial residences, public buildings .... L. H. Everts co.. p. 10. https://books.google.com/books?id=JeMbAQAAMAAJ&pg=PA10. ^ Ninette Kelley; Michael J. Trebilcock (September 30, 2010). The Making of the Mosaic: A History of Canadian Immigration Policy. University of Toronto Press. p. 40. ISBN 978-0-8020-9536-7. https://books.google.com/books?id=3IHyRvsCiKMC&pg=PA40. ^ Keith Johnston (1881). A physical, historical, political, & descriptive geography. E. Stanford. p. 98. https://books.google.com/books?id=nE0pAAAAYAAJ&pg=PA98. ^ Paul André Linteau; René Durocher; Jean-Claude Robert (1983). Quebec, a History, 1867–1929. James Lorimer & Company. p. 255. ISBN 978-0-88862-604-2. https://books.google.com/books?id=_vA0o0e0PdgC&pg=PA255. ^ Library of the Parliament of Canada, "Archived copy". Archived from the original on June 13, 2006. http://www.parl.gc.ca/information/library/PRBpubs/bp412-e.htm#B. Retrieved October 24, 2006. .
^ a b Toby Elaine Morantz (June 11, 2002). The White Man's Gonna Getcha: The Colonial Challenge to the Crees in Québec. McGill-Queens. p. 133. ISBN 978-0-7735-2299-2. https://books.google.com/books?id=SLPxHz4tHUUC&pg=PA133. ^ Canadian Intergovernmental Affairs Secretariat (October 31, 2001). "The Minister of Natural Resources of Quebec and Minister for Canadian Intergovernmental Affairs express Quebec's position in relation to the constitutional changes in the designation of Newfoundland". Government of Quebec. Archived from the original on April 28, 2005. https://web.archive.org/web/20050428091824/http://www.saic.gouv.qc.ca/centre_de_presse/communiques/2001/saic_com20011031.htm. Retrieved December 10, 2009. ^ Institut de la statistique du Québec. "Comparison between the area of Quebec and various countries" (in French). Government of Quebec. Archived from the original on August 8, 2011. https://web.archive.org/web/20110808030517/http://www.stat.gouv.qc.ca/jeunesse/territoire/compa_superf_pays.htm. Retrieved July 4, 2011. ^ a b Elson, J. A.. "St Lawrence Lowland". Canadian Encyclopedia. Historica Foundation. Archived from the original on October 26, 2007. http://www.thecanadianencyclopedia.com/en/article/st-lawrence-lowland/. Retrieved April 28, 2008. ^ Boyer, Marcel (January 12, 2008). "11 idées pour changer le Québec" (in French). Le Journal de Montréal. Archived from the original on August 25, 2011. https://www.webcitation.org/61CLwUTZC?url=http://www.iedm.org/fr/node/2904. Retrieved July 11, 2011. ^ Commission de toponymie du Québec. "Réservoir de Caniapiscau" (in French). Government of Quebec. Archived from the original on September 20, 2011. http://www.toponymie.gouv.qc.ca/ct/ToposWeb/fiche.aspx?no_seq=150506. Retrieved July 10, 2010. ^ "Saguenay-St. Lawrence National Park". Digital Wizards (Ontario) Inc.. Archived from the original on July 11, 2011. http://www.greatcanadianparks.com/quebec/saguenp/index.htm. Retrieved July 11, 2011. ^ "Mont D'Iberville, Québec/Newfoundland". PeakBagger. November 1, 2004. Archived from the original on August 7, 2011. http://www.peakbagger.com/peak.aspx?pid=5968. Retrieved July 14, 2011. ^ Parks Canada (May 2, 2008). "Mingan Archipelago National Park Reserve of Canada". Government of Canada. Archived from the original on November 20, 2007. https://web.archive.org/web/20071120041636/http://www.pc.gc.ca/pn-np/qc/mingan/index_e.asp. Retrieved May 15, 2008. ^ Natural Resources Canada (October 25, 2006). "Borderlands / St. Lawrence Lowlands". The Atlas of Canada. Government of Canada. Archived from the original on January 5, 2008. https://web.archive.org/web/20080105112126/http://atlas.nrcan.gc.ca/site/english/maps/environment/land/st_lawrence_lowlands.html. Retrieved April 28, 2008. ^ Lasalle, Pierre; Robert J. Rogerson. "Champlain Sea". The Canadian Encyclopedia. Historica Foundation. Archived from the original on December 9, 2007. http://thecanadianencyclopedia.ca/en/article/champlain-sea/. Retrieved April 28, 2008. ^ a b c d e f "Natural History of Quebec". A description of the natural history of the province. McGill University. Archived from the original on July 6, 2011. http://redpath-museum.mcgill.ca/Qbp/Natural%20History/nat_hist.html. Retrieved June 22, 2011. ^ Johnabbott Faculty. "Köppen Climate world map". johnabbott.qc.ca. Archived from the original on September 30, 2011. https://web.archive.org/web/20110930152830/http://www2.johnabbott.qc.ca/~geoscience/intro/Bryce/GoodesClimateMap22Ed%20_1_.pdf. Retrieved July 13, 2011. ^ Climat-Québec. "Climate Normals, tabular, year". Government of Canada. Archived from the original on August 27, 2011. https://web.archive.org/web/20110827223813/http://www.climat-quebec.qc.ca/home.php?id=norm_entab&mpn=stati_clim&slt_nomStations=34&slt_idStations=7016294&slt_variable=10&slt_periode=2&sub=Afficher. Retrieved July 13, 2011. ^ Climat-Québec. "Tornadoes". Government of Canada. Archived from the original on August 27, 2011. https://web.archive.org/web/20110827224256/http://www.climat-quebec.qc.ca/home.php?id=p23&mpn=ev_mto_sig. Retrieved July 13, 2011. ^ Climat-Québec. "Climate Normals, tabular, season". Government of Canada. Archived from the original on August 27, 2011. https://web.archive.org/web/20110827224014/http://www.climat-quebec.qc.ca/home.php?id=norm_entab&mpn=stati_clim&slt_nomStations=34&slt_idStations=7011982&slt_variable=10&slt_periode=1&sub=Afficher. Retrieved July 13, 2011. ^ "Sunrise, Sunset, Length of Daytime". Archived from the original on June 14, 2016. http://time.unitarium.com/sunrise/. ^ Quebec Portal (October 12, 2006). "Zones climatiques du Québec". Government of Quebec. Archived from the original on August 25, 2011. http://www.gouv.qc.ca/portail/quebec/pgs/commun/portrait/geographie/climat/zonesclimatiques/?lang=fr. Retrieved January 23, 2010. ^ Immigration Québec. "Moyenne mensuelle des températures de Québec (ville) et Montréal". Government of Quebec. Archived from the original on March 25, 2014. http://www.immigration-quebec.gouv.qc.ca/fr/avantages/territoire/climat/moyenne-temperatures.html. Retrieved June 2, 2011. ^ a b Climat-Québec (August 30, 2010). "Climate Normals, Tabular". Government of Canada. Archived from the original on August 27, 2011. https://web.archive.org/web/20110827223341/http://www.climat-quebec.qc.ca/home.php?id=norm_entab&mpn=stati_clim&slt_nomStations=34&slt_idStations=7016294&slt_variable=0&slt_periode=0&sub=Afficher. Retrieved July 12, 2011. ^ Environment Canada (December 29, 2008). "Canada's Top Ten Weather Stories for 2008". Government of Canada. Archived from the original on August 7, 2011. https://web.archive.org/web/20110807170704/http://www.ec.gc.ca/doc/smc-msc/2008/s3_eng.html. Retrieved July 13, 2011. ^ Société Radio-Canada. "Records de neige". Canadian Broadcasting Corporation CBC (Radio-Canada SRC). http://ici.radio-canada.ca/jeunesse/explorateur/histoire/index.asp?no_contenu=7253. Retrieved January 23, 2010. ^ Radio-Canada avec Agence France Presse (March 19, 2010). "Climat : L'hiver le plus chaud de l'histoire du pays" (in French). Canadian Broadcasting Corporation CBC (Radio-Canada SRC). Archived from the original on April 3, 2010. http://ici.radio-canada.ca/nouvelles/National/2010/03/19/001-hiver-le-plus-chaud.shtml?ref=rss. Retrieved April 3, 2010. ^ "National Climate Data and Information Archive". Environment Canada. Archived from the original on July 9, 2013. https://web.archive.org/web/20130709023232/http://climate.weatheroffice.gc.ca/Welcome_e.html. Retrieved October 24, 2015. ^ Environnement Canada. "La biodiversité du Saint-Laurent" (in French). Government of Canada. Archived from the original on August 25, 2011. https://www.webcitation.org/61CM5t7K2?url=http://www.qc.ec.gc.ca/faune/biodiv/fr/mammiferes/marins.html. Retrieved July 12, 2011. ^ Ministère des Ressources naturelles et de la Faune. "Espèces fauniques du Nunavik" (in French). Government of Quebec. Archived from the original on July 6, 2011. https://web.archive.org/web/20110706201853/http://www.mrnf.gouv.qc.ca/faune/especes/nunavik/index.jsp. Retrieved July 12, 2011. ^ Ministère des Ressources naturelles et de la Faune. "Poissons du Québec" (in French). Government of Quebec. Archived from the original on July 6, 2011. https://web.archive.org/web/20110706201909/http://www.mrnf.gouv.qc.ca/faune/peche/poissons/index.jsp. Retrieved July 12, 2011. ^ Lepage, Denis. "List of Quebec birds" (in French). Les Oiseaux du Québec. Archived from the original on July 16, 2011. http://www.oiseauxqc.org/listeannotee.jsp. Retrieved June 24, 2011. ^ Les Publications du Québec: Éditeur officiel du Québec (June 1, 2011). "Loi sur les races animales du patrimoine agricole du Québec (L.R.Q., c. R-0.01)" (in French). Government of Quebec. Archived from the original on April 23, 2008. http://www2.publicationsduquebec.gouv.qc.ca/dynamicSearch/telecharge.php?type=2&file=/R_0_01/R0_01.html. Retrieved July 12, 2011. ^ Conseil des appellations réservées et des termes valorisants. "Register of Quebec Recognized Reserved Designations". Ministère de l'Agriculture, des Pêcheries et de l'Alimentation du Québec. Archived from the original on January 30, 2012. http://cartv.gouv.qc.ca/en/register-quebec-recognized-reserved-designations. Retrieved July 14, 2011. ^ "Animal Welfare". Fédération des producteurs de porcs du Québec. Archived from the original on January 25, 2012. https://web.archive.org/web/20120125125514/http://www.leporcduquebec.com/federation-en/production/portrait-of-production/animal-welfare.php. Retrieved July 12, 2011. ^ "Fédération des producteurs d'agneaux et moutons du Québec". Agneauduquebec.com. Archived from the original on February 23, 2011. http://www.agneauduquebec.com/. Retrieved June 25, 2011. ^ CDPNQ (September 23, 2010). "Le Centre de données sur le patrimoine naturel du Québec (CDPNQ)". Government of Quebec. Archived from the original on April 9, 2011. https://web.archive.org/web/20110409235832/http://www.cdpnq.gouv.qc.ca/index-en.htm. Retrieved July 14, 2011. ^ a b "Types de végétations du Québec" (in French). Types of vegetation and climatic zones of Quebec. Government of Quebec. Archived from the original on August 27, 2011. http://www.mrnf.gouv.qc.ca/forets/connaissances/connaissances-inventaire-zones.jsp. Retrieved June 22, 2011. ^ Ministère des Ressources naturelles et de la Faune. "Domaine forestier" (in French). Government of Quebec. Archived from the original on April 6, 2012. https://web.archive.org/web/20120406114232/http://www.mrnf.gouv.qc.ca/forets/quebec/quebec-milieu.jsp. Retrieved August 19, 2007. ^ Arboquebecium. "L'Arboretum du Québec" (in French). Arboquebecium.com. Archived from the original on July 7, 2011. https://web.archive.org/web/20110707155005/http://www.arboquebecium.com/index.html. Retrieved June 25, 2011. ^ Native Peoples A to Z: A Reference Guide to Native Peoples of the Western Hemisphere. 8. North American Book Dist LLC. 2009. pp. 91–97. ISBN 978-1-878592-73-6. https://books.google.com/books?id=Hx98AgAAQBAJ&pg=PA91. ^ Carol Cornelius (1999). Iroquois Corn in a Culture-Based Curriculum: A Framework for Respectfully Teaching about Cultures. SUNY Press. p. 108. ISBN 978-0-7914-4027-8. https://books.google.com/books?id=lg-0uAv4JrYC&pg=PA108. ^ Trudel, Marcel. "CARTIER, JACQUES". Dictionary of Canadian Biography Online. Archived from the original on August 5, 2011. http://www.biographi.ca/009004-119.01-e.php?BioId=34229. Retrieved July 12, 2011. ^ Margaret F. Pickett; Dwayne W. Pickett (2011). The European Struggle to Settle North America: Colonizing Attempts by England, France and Spain, 1521–1608. McFarland. p. 61. ISBN 978-0-7864-6221-6. https://books.google.com/books?id=vTkyqDHcBvsC&pg=PA61. ^ Raymonde Litalien (2004). 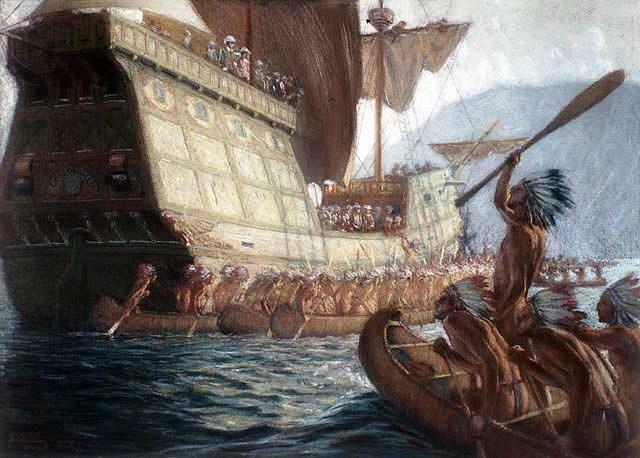 Champlain: The Birth of French America. McGill-Queen's Press. pp. 312–314. ISBN 978-0-7735-7256-0. https://books.google.com/books?id=X2VAMDgy3YQC&pg=PA312. ^ David Lea; Colette Milward; Annamarie Rowe (2001). A Political Chronology of the Americas. Psychology Press. p. 43. ISBN 978-1-85743-118-6. https://books.google.com/books?id=C7WayaUhkUEC&pg=PA43. ^ Gillian Poulter (2010). Becoming Native in a Foreign Land: Sport, Visual Culture, and Identity in Montreal, 1840–85. UBC Press. p. 33. ISBN 978-0-7748-1642-7. https://books.google.com/books?id=ZwJeuNYb4bIC&pg=PA33. ^ Rene Chartrand (2013). French Fortresses in North America 1535–1763: Quebec, Montreal, Louisbourg and New Orleans. Osprey Publishing. ISBN 978-1-4728-0317-7. https://books.google.com/books?id=ihSrWOl-zsIC&pg=PA1736. ^ Richard Cole Harris (1984). The Seigneurial System in Early Canada: A Geographical Study. McGill-Queen's Press. pp. 105–109. ISBN 978-0-7735-0434-9. https://books.google.com/books?id=0qv78gf5GxwC&pg=PA108. ^ Derek Hayes (2008). Canada: An Illustrated History. Douglas & McIntyre. p. 33. ISBN 978-1-55365-259-5. https://books.google.com/books?id=hrkq7t_4080C&pg=PA33. ^ David L. Preston (2009). The Texture of Contact: European and Indian Settler Communities on the Frontiers of Iroquoia, 1667–1783. U of Nebraska Press. p. 43. ISBN 978-0-8032-2549-7. https://books.google.com/books?id=L-9N6-6UCnoC&pg=PA43. ^ John Powell (2009). Encyclopedia of North American Immigration. Infobase Publishing. p. 203. ISBN 978-1-4381-1012-7. https://books.google.com/books?id=VNCX6UsdZYkC&pg=PA203. ^ Thomas F. McIlwraith; Edward K. Muller (2001). North America: The Historical Geography of a Changing Continent. Rowman & Littlefield Publishers. p. 72. ISBN 978-1-4616-3960-2. https://books.google.com/books?id=Fa--xLT_dRYC&pg=PA72. ^ Eccles, W. J.. "Seven Years' War". The Canadian Encyclopedia. Archived from the original on August 6, 2011. http://www.thecanadianencyclopedia.ca/en/article/seven-years-war/. Retrieved July 5, 2011. ^ Canadian National Battlefields Commission. "The Siege of Québec: An episode of the Seven Years' War". Government of Canada. Archived from the original on July 26, 2011. http://bataille.ccbn-nbc.gc.ca/en/guerre-de-sept-ans/contexte.php. Retrieved July 5, 2011. ^ BROWN FOULDS, NANCY. "The Quebec Act". Effects and Consequences. The Canadian Encyclopedia. Archived from the original on June 8, 2011. http://thecanadianencyclopedia.ca/en/article/quebec-act/. Retrieved June 29, 2011. ^ "Canada". Berkley Center for Religion, Peace, and World Affairs. Archived from the original on February 5, 2011. http://berkleycenter.georgetown.edu/resources/countries/canada. Retrieved December 12, 2011. See drop-down essay on "Early European Settlement and the Formation of the Modern State"
^ SWiSH v2.0. "Les Patriotes de 1837@1838". Cgi2.cvm.qc.ca. Archived from the original on July 6, 2011. https://web.archive.org/web/20110706202410/http://cgi2.cvm.qc.ca/glaporte/1837.pl?cat=ptype&cherche=DOCUMENT. Retrieved February 21, 2010. ^ Nelson, Robert (February 1838). "Declaration of Independence of Lower Canada". Wikisource. Archived from the original on November 7, 2011. http://en.wikisource.org/wiki/Declaration_of_Independence_of_Lower_Canada. Retrieved February 21, 2010. ^ a b Ouellet, Fernand. "LAMBTON, JOHN GEORGE, 1st Earl of Durham". Dictionary of Canadian Biography Online. Government of Canada. Archived from the original on August 5, 2011. http://www.biographi.ca/009004-119.01-e.php?BioId=37606&PHPSESSID=qj23a0tmehl1lulfrlfrhk0c53. Retrieved July 12, 2011. ^ a b Monet, Jacques. "Act of Union". The Canadian Encyclopedia. Archived from the original on July 20, 2011. http://www.thecanadianencyclopedia.ca/en/article/act-of-union/. Retrieved July 12, 2011. ^ WAITE, P.B.. "Canadian confederation". history of the formation of the Confederation. The Canadian Encyclopedia. Archived from the original on June 7, 2011. https://web.archive.org/web/20110607203333/http://www.thecanadianencyclopedia.com/index.cfm?PgNm=TCE&Params=a1ARTA0001842. Retrieved June 29, 2011. ^ Library and Archives Canada. "Canadian Confederation". List of the Provinces and Territories and their joining dates. Government of Canada. Archived from the original on August 11, 2011. http://www.collectionscanada.gc.ca/confederation/023001-3000-e.html. Retrieved June 29, 2011. ^ LAURENDEAU, MARC. "Front de libération du Québec". The Canadian Encyclopedia. Archived from the original on July 20, 2011. https://web.archive.org/web/20110720043127/http://www.thecanadianencyclopedia.com/index.cfm?PgNm=TCE&Params=A1ARTA0003082. Retrieved July 12, 2011. ^ Tetley, William (2006). "Appendix D: The Crisis per se (in chronological order — October 5, 1970, to December 29, 1970) – English text". The October Crisis, 1970: An Insider's View. McGill-Queen's University Press. ISBN 978-0-7735-3118-5. OCLC 300346822. Archived from the original on June 24, 2009. https://www.mcgill.ca/files/maritimelaw/D.doc. Retrieved June 23, 2009. ^ COMEAU, ROMBERT. "Parti Québécois". History and Achievements. The Canadian Encyclopedia. Archived from the original on August 6, 2011. http://thecanadianencyclopedia.ca/en/article/parti-quebecois/. Retrieved June 29, 2011. ^ "The 1980 Quebec Referendum". Facts and results. Canadian Broadcasting Corporation – CBC. Archived from the original on May 31, 2008. http://archives.cbc.ca/politics/constitution/topics/1092-6040/. Retrieved June 29, 2011. ^ Sheppard, Robert. "Constitution, Patriation of". The Canadian Encyclopedia. Archived from the original on January 2, 2010. http://thecanadianencyclopedia.ca/en/article/patriation-of-the-constitution/. Retrieved September 23, 2009. ^ BUSTA & HUI, Ann, Shannon. "Bloc Québécois through the years". Timeline (Canada). Archived from the original on May 9, 2011. https://web.archive.org/web/20110509013937/http://www.theglobeandmail.com/news/politics/bloc-qubcois-through-the-years/article2008669/. Retrieved June 29, 2011. ^ Directeur général des élections du Québec. "Référendum de 1995". Information and results. Quebec Politic. Archived from the original on August 8, 2011. http://www.quebecpolitique.com/elections-et-referendums/referendums-quebecois/referendum-de-1995/. Retrieved June 29, 2011. ^ "Résolution unanime sur la nation québécoise" (PDF). October 30, 2003. Archived from the original on July 28, 2013. https://web.archive.org/web/20130728013918/http://www.saic.gouv.qc.ca/publications/resolutions/20031030_en.pdf. Retrieved September 29, 2013. ^ "Hansard; 39th Parliament, 1st Session; No. 087; November 27, 2006". Parl.gc.ca. Archived from the original on October 2, 2013. http://www.parl.gc.ca/HousePublications/Publication.aspx?DocId=2544166&File=0&Language=E&Mode=1&Parl=39&Pub=hansard&Ses=1#SOB-1798651. Retrieved September 29, 2013. ^ Galloway, Gloria; Curry, Bill; Dobrota, Alex (November 28, 2006). "'Nation' motion passes, but costs Harper". Globe and Mail (Toronto). Archived from the original on July 24, 2008. https://web.archive.org/web/20080724054432/http://www.theglobeandmail.com/servlet/story/RTGAM.20061128.wnation28/BNStory/National/home. ^ Bonoguore, Tenille; Sallot, Jeff; (November 27, 2006). "Harper's Quebec motion passes easily". Globe and Mail (Toronto). Archived from the original on November 29, 2006. https://web.archive.org/web/20061129050254/http://www.theglobeandmail.com/servlet/story/RTGAM.20061127.wchong1127/BNStory/National. ^ "Debate: The motions on the Québécois nation". Canadian Broadcasting Corporation. November 24, 2006. Archived from the original on August 24, 2007. https://web.archive.org/web/20070824174324/http://www.cbc.ca/news/background/parliament39/motion-quebecnation.html. Retrieved August 26, 2007. ^ "Who's a Québécois? Harper isn't sure". Canadian Broadcasting Corporation. December 19, 2006. Archived from the original on January 26, 2007. https://web.archive.org/web/20070126111147/http://www.cbc.ca/canada/story/2006/12/19/harper-motion.html?ref=rss. Retrieved December 21, 2006. ^ Victoria. "Constitution Act, 1867". Retrieved on January 15, 2009. ^ "Constitutional role". Bureau du Lieutenant-gouverneur du Québec. Archived from the original on February 10, 2012. https://web.archive.org/web/20120210204607/http://www.lieutenant-gouverneur.qc.ca/roles-et-fonctions/role-constitutionnel-en.html. Retrieved January 19, 2012. ^ "Parliament A to Z". Bicameral System. National Assembly of Quebec. Archived from the original on May 30, 2011. https://web.archive.org/web/20110530011615/http://www.assnat.qc.ca/fr/patrimoine/lexique/b/index.html. Retrieved June 29, 2011. ^ Bingham, Russell. "Culture > Awards > National Order of Québec (L'ordre national du Québec)". In Marsh, James H.. The Canadian Encyclopedia. Toronto: Historica Foundation of Canada. http://thecanadianencyclopedia.ca/en/article/national-order-of-quebec-lordre-national-du-quebec/. Retrieved August 14, 2009. ^ "Revenu Québec - Basic Rules for Applying the GST/HST and QST". Archived from the original on August 7, 2016. http://www.revenuquebec.ca/en/entreprises/taxes/tpstvhtvq/reglesdebase/default.aspx. ^ "Consolidated provincial and territorial government revenue and expenditures, by province and territory, 2009". ^ Kozhaya, Norma (March 11, 2004). "Soaking 'les riches'". Montreal Economic Institute. Archived from the original on April 8, 2014. http://www.iedm.org/fr/2427-soaking-les-riches. Retrieved March 15, 2014. ^ Marotte, Bertrand. "Quebec business taxes highest in North America". Globe and Mail. Archived from the original on October 31, 2012. https://web.archive.org/web/20121031055451/http://www.theglobeandmail.com/report-on-business/economy/quebec-business-taxes-highest-in-north-america-study/article4618486/. Retrieved April 7, 2014. ^ "Quebec's debt 'worryingly high', report says". CBC News. Archived from the original on April 10, 2014. https://web.archive.org/web/20140410183433/http://www.cbc.ca/news/business/quebec-s-debt-worryingly-high-report-says-1.2568355. Retrieved April 7, 2014. ^ "Population urban and rural, by province and territory". Archived from the original on May 1, 2008. https://web.archive.org/web/20080501112831/http://www40.statcan.ca/l01/cst01/demo62f.htm. ^ "Population and dwelling counts, for Canada, provinces and territories, 2006 and 2001 censuses – 100% data". Archived from the original on February 13, 2008. http://www12.statcan.ca/english/census06/data/popdwell/Table.cfm?T=101. ^ "Canada's total population estimates, 2013". Statistics Canada. September 26, 2013. http://www.statcan.gc.ca/daily-quotidien/130926/dq130926a-eng.pdf. Retrieved September 29, 2013. ^ a b "Les Québécoises conservent un taux de fécondité supérieur au reste du Canada". Radio-Canada.ca. Archived from the original on April 19, 2014. http://ici.radio-canada.ca/nouvelles/societe/2013/06/04/007-taux-fecondite-2012-comparaison-quebec-canada.shtml. Retrieved September 29, 2013. ^ Leduc, Louise (December 9, 2009). "8 millions de Québécois... en 2012" (in french). Cyberpresse. Archived from the original on June 29, 2011. http://www.cyberpresse.ca/actualites/quebec-canada/national/200912/09/01-929276-8-millions-de-quebecois-en-2012.php. Retrieved July 7, 2011. ; "Le Québec franchit le cap des 8 millions d'habitants". Radio-Canada.ca. December 13, 2011. Archived from the original on April 19, 2014. http://ici.radio-canada.ca/nouvelles/societe/2011/12/13/001-quebec-population-isq.shtml. ^ "Ethnic origins, 2006 counts, for Canada, provinces and territories – 20% sample data". 2.statcan.ca. October 6, 2010. http://www12.statcan.ca/english/census06/data/highlights/ethnic/pages/Page.cfm?Lang=E&Geo=PR&Code=24&Data=Count&Table=2&StartRec=1&Sort=3&Display=All&CSDFilter=5000. Retrieved September 29, 2013. ^ "Visible minority groups, 2006 counts, for Canada, provinces and territories – 20% sample data". 2.statcan.ca. October 6, 2010. http://www12.statcan.ca/english/census06/data/highlights/ethnic/pages/Page.cfm?Lang=E&Geo=PR&Code=01&Table=1&Data=Count&StartRec=1&Sort=11&Display=Page&CSDFilter=5000. Retrieved September 29, 2013. ^ "Selected Religions, for Canada, Provinces and Territories". 2.statcan.ca. Archived from the original on July 27, 2013. http://www12.statcan.ca/english/census01/products/highlight/Religion/Page.cfm?Lang=E&Geo=PR&View=1a&Code=24&Table=1&StartRec=1&Sort=2&B1=24&B2=All. Retrieved September 29, 2013. ^ a b c d e f g "Focus on Geography Series, 2011 Census – Province of Quebec". 2.statcan.gc.ca. Archived from the original on October 2, 2013. https://www12.statcan.gc.ca/census-recensement/2011/as-sa/fogs-spg/Facts-pr-eng.cfm?Lang=eng&GK=PR&GC=24. Retrieved September 29, 2013. ^ a b Office Québecois de la langue francaise (June 1, 2011). "Charter of the French language". Government of Quebec. Archived from the original on May 2, 2003. http://www2.publicationsduquebec.gouv.qc.ca/dynamicSearch/telecharge.php?type=2&file=/C_11/C11_A.html. Retrieved July 14, 2011. ^ Canada, Government of Canada, Statistics. "Statistics Canada: 2011 Census Profile". Archived from the original on December 20, 2016. http://www12.statcan.gc.ca/census-recensement/2011/dp-pd/prof/details/page.cfm?Lang=E&Geo1=FED2013&Code1=24036&Geo2=PR&Code2=01&Data=Count&SearchText=Lac%20Saint-Louis&SearchType=Begins&SearchPR=24&B1=All&Custom=&TABID=1. ^ Canadian Legal Information Institute. "Att. Gen. of Quebec v. Blaikie et al., 1979 CanLII 21 (S.C.C.)". Government of Canada. Archived from the original on April 9, 2013. https://web.archive.org/web/20130409085237/http://www.canlii.org/en/ca/scc/doc/1979/1979canlii21/1979canlii21.html. Retrieved November 24, 2007. ^ Canadian Legal Information Institute. "A.G. (Quebec) v. Blaikie et al., [1981 1 S.C.R. 312"]. Government of Canada. Archived from the original on April 9, 2013. https://web.archive.org/web/20130409085238/http://www.canlii.org/eliisa/highlight.do?language=en&searchTitle=Federal&path=%2Fen%2Fca%2Fscc%2Fdoc%2F1981%2F1981canlii14%2F1981canlii14.html. Retrieved November 24, 2007. ^ "Government Statistics". Gouv.qc.ca. Archived from the original on February 19, 2006. https://web.archive.org/web/20060219133450/http://www.stat.gouv.qc.ca/salle-presse/communiq/2005/mars/mars0516a.htm. Retrieved June 23, 2011. ^ "Le Québec : une économie dynamique". Government of Quebec. Archived from the original on December 15, 2010. http://www.gouv.qc.ca/portail/quebec/pgs/commun/portrait/economie/?lang=fr. Retrieved February 23, 2011. ^ Statistics Canada (November 4, 2010). "Gross domestic product, expenditure-based, by province and territory". Government of Canada. Archived from the original on January 15, 2011. https://web.archive.org/web/20110115061422/http://www40.statcan.gc.ca/l01/cst01/econ15-eng.htm. Retrieved February 23, 2011. ^ "Canadian Federal and Provincial Fiscal Tables". Royal Bank of Canada. 26 September 2017. Archived from the original on January 22, 2014. http://www.rbc.com/economics/economic-reports/pdf/provincial-forecasts/prov_fiscal.pdf. ^ "Dette: le Québec, cancre d'une classe surdouée". Cyberpresse. Archived from the original on August 12, 2011. https://web.archive.org/web/20110812175444/http://lapresseaffaires.cyberpresse.ca/economie/quebec/201107/28/01-4421562-dette-le-quebec-cancre-dune-classe-surdouee.php. Retrieved July 29, 2011. ^ "Quebec credit rating surpasses Ontario for first time ever". Postmedia. June 16, 2017. Archived from the original on June 21, 2017. http://www.canoe.com/Canoe/Money/2017/06/16/22731797.html. ^ "Le Québec : une économie dynamique" (in French). Government of Quebec. Archived from the original on July 6, 2011. http://www.mdeie.gouv.qc.ca/fileadmin/contenu/publications/etudes_statistiques/innovation/economie_savoir.pdf. Retrieved February 23, 2011. ^ "L'expertise québécoise en haute technologie". Investissement Québec. Archived from the original on May 27, 2011. http://www.investquebec.com/fr/index.aspx?page=340. Retrieved June 23, 2011. ^ Sauvé, Mathieu-Robert (May 19, 2010). "Une cible de 3% pour la science" (in French). LeDevoir online newspaper. Archived from the original on August 8, 2011. http://www.ledevoir.com/societe/science-et-technologie/289219/une-cible-de-3-pour-la-science. Retrieved July 11, 2011. ^ a b c Investissement Québec. "The Benefits of Investing in Québec Research & Development". IQ Investquebec. Archived from the original on May 27, 2011. http://www.investquebec.com/en/index.aspx?page=336. Retrieved February 23, 2011. ^ Tout pour réussir. "HISTOIRE DE L'AÉRONAUTIQUE AU QUÉBEC" (in french). Gouvernement du Québec. Archived from the original on August 28, 2011. http://www.toutpourreussir.com/newsletter/webmag_3_fev06/page_fr.php. Retrieved July 29, 2011. ^ Hélène SÉGUINOTTE. "Les raisons d'une implantation multiple dans un pays clé de l'aéronautique mondial" (in french). SAFRAN au Canada. Archived from the original on March 28, 2012. http://www.ccfc-france-canada.com/agenda/271108.pdf. Retrieved June 23, 2011. ^ Ministère du Développement économique, de l'Innovation et de l'Exportatio. "Stratégie de développement de l'industrie aéronautique québécoise" (in french). Ministère du Développement économique, de l'Innovation et de l'Exportatio. Archived from the original on February 16, 2010. https://web.archive.org/web/20100216090257/http://www.criaq.aero/Donnees/2006_MDEIE_Strategie.pdf. Retrieved July 29, 2011. ^ "Aérospatiale" (in french). Investissement Québec. Archived from the original on May 27, 2011. http://www.investquebec.com/fr/index.aspx?rubrique=23. Retrieved June 23, 2011. ^ "Services informatiques et logiciels". Investissement Québec. Archived from the original on May 27, 2011. https://web.archive.org/web/20110527124352/http://www.investquebec.com/en/index.aspx?rubrique=27. Retrieved June 23, 2011. ^ "Québec veut investir 2 milliards pour stimuler l'économie". Radio-Canada. 2013. Archived from the original on April 19, 2014. http://ici.radio-canada.ca/nouvelles/Economie/2013/10/07/004-quebec-politique-economique-emplois.shtml. ^ "Investir en TIC, innovation et créativité | Investissement Québec". Invest-quebec.com. Archived from the original on October 2, 2013. http://www.invest-quebec.com/fr/investissement-direct-etranger/technologies-information-communications/innovation-creativite.html. Retrieved September 29, 2013. ^ Corridors de commerce FCCQ. "Industrie minière et substances exploitées" (in french). Government of Quebec. Archived from the original on April 21, 2011. http://www.mrnf.gouv.qc.ca/mines/industrie/index.jsp. Retrieved June 23, 2011. ^ a b "Association minière du Québec" (in french). AMQ inc.. Archived from the original on March 21, 2011. https://web.archive.org/web/20110321162047/http://www.amq-inc.com/index.php?option=com_content&task=view&id=12&Itemid=34. Retrieved June 23, 2011. ^ "Encore "dix ans difficiles" pour l'industrie forestière". Abitibi expresse. Archived from the original on July 6, 2011. https://web.archive.org/web/20110706163954/http://www.abitibiexpress.ca/Economie/Ressources-naturelles/2010-11-04/article-1923283/Encore-%26laquo%3Bdix-ans-difficiles%26raquo%3B-pour-l%26rsquo%3Bindustrie-forestiere/1. Retrieved June 23, 2011. ^ "CRISE dans l'industrie forestière". Corridors de commerce FCCQ. Archived from the original on July 14, 2011. http://magazinemci.com/2006/02/01/crise-dans-lindustrie-forestiere/. Retrieved June 23, 2011. ^ "Portraits forestiers régionaux" (in french). Conseil de l'industrie forestière du Québec. Archived from the original on January 25, 2010. https://web.archive.org/web/20100125114405/http://www.cifq.qc.ca/html/francais/centre_mediatique/portrait.php. Retrieved June 23, 2011. ^ "Portraits forestiers régionaux". Conseil de l'industrie forestière du Québec. Archived from the original on September 10, 2007. https://web.archive.org/web/20070910230852/http://www.er.uqam.ca/nobel/grip/dr/facq/contsoci.htm. Retrieved June 23, 2011. ^ "Agri-Food Trade Service". Agriculture and Agri-food Canada. Archived from the original on July 6, 2011. https://web.archive.org/web/20110706181403/http://www.ats.agr.gc.ca/reg/4710-eng.htm. Retrieved June 23, 2011. ^ "Le Québec est le chouchou de l'industrie minière" (in French). Canoe.ca. Archived from the original on July 20, 2012. https://archive.is/20120720051111/http://lasentinelle.canoe.ca/webapp/sitepages/content.asp?contentid=141789&id=999. Retrieved July 3, 2011. ^ Québec. "Substances exploitées au Québec". Ministère des Ressources naturelles et de la Faune. Archived from the original on June 17, 2007. https://web.archive.org/web/20070617031904/http://www.mrnf.gouv.qc.ca/mines/industrie/industrie-substances.jsp. Retrieved August 16, 2007. ^ Institut de la statistique du Québec (July 17, 2006). "Industrie minière: valeur des expéditions, selon les principales substances minérales, Québec". Banque de données des statistiques officielles. Archived from the original on July 6, 2011. http://www.bdso.gouv.qc.ca/pls/ken/p_afch_tabl_clie?p_no_client_cie=FR&p_param_id_raprt=843. Retrieved August 16, 2007. ^ Québec. "Diamants au Québec". Ministère des Ressources naturelles et de la Faune. Archived from the original on July 6, 2011. https://web.archive.org/web/20110706201736/http://www.mrnf.gouv.qc.ca/mines/industrie/gemmes/gemmes-diamant.jsp. Retrieved December 10, 2009. ^ Institut de la statistique du Québec (2009). "Le Québec chiffres en main, édition 2009 – Végétation". Archived from the original on January 5, 2009. https://web.archive.org/web/20090105084331/http://www.stat.gouv.qc.ca/publications/referenc/qcem/qcem_ter_veg.htm. Retrieved December 10, 2009. ^ Québec. "Vues d'ensemble du Québec". Atlas Québec. Archived from the original on January 11, 2010. https://web.archive.org/web/20100111051643/http://vuesensemble.atlas.gouv.qc.ca/site_web/accueil/index.htm. Retrieved December 10, 2009. ^ "The Nobel Prize in Chemistry 1992 Rudolph A. Marcus". Nobel Prize. July 21, 2011. Archived from the original on July 18, 2011. http://nobelprize.org/nobel_prizes/chemistry/laureates/1992/index.html. Retrieved July 21, 2011. ^ a b "Stratégie québécoise de la recherche et de l’innovation (SQRI) 2010–2013" (in french). Gouvernement du Québec. http://www.mdeie.gouv.qc.ca/objectifs/informer/promotion-de-la-science-et-de-la-technologie/page/strategies-10457/?tx_igaffichagepages_pi1%5Bmode%5D=single&tx_igaffichagepages_pi1%5BbackPid%5D=414&tx_igaffichagepages_pi1%5BcurrentCat%5D=&cHash=92205d14fab28502662407daf5adfa2f. Retrieved January 19, 2012. ^ Institut de la statistique du Québec. "Comparaisons économiques internationales". Government of Quebec. Archived from the original on December 29, 2006. https://web.archive.org/web/20061229132012/http://www.stat.gouv.qc.ca/donstat/econm_finnc/conjn_econm/compr_inter/pdf/sommaire.pdf. Retrieved February 23, 2011. ^ Perreault, Mathieu. "Dix Nobel au Québec" (in french). Cyberpresse.ca. Archived from the original on January 24, 2011. http://www.cyberpresse.ca/international/dossiers/prix-nobel-2009/200910/10/01-910310-dix-nobel-au-quebec.php. Retrieved February 23, 2011. ^ Government of Quebec. "Science and Technology: Portal of the government of Québec". Gouv.qc.ca. Archived from the original on December 17, 2010. http://www.gouv.qc.ca/portail/quebec/pgs/commun/portrait/economie/sciencestechnologies/?lang=en. Retrieved February 23, 2011. ^ Institut de la statistique du Québec. "Québec had 195 triadic inventions patented". Government of Quebec. Archived from the original on June 12, 2011. https://web.archive.org/web/20110612111434/http://www.stat.gouv.qc.ca/savoir/index_an.htm. Retrieved February 23, 2011. ^ Institut de la statistique du Québec. "ombre de publications scientifiques en sciences naturelles et génie par 100,000 habitants, provinces et territoires, 1980 à 2009". Government of Quebec. Archived from the original on April 2, 2012. https://web.archive.org/web/20120402145357/http://www.stat.gouv.qc.ca/savoir/indicateurs/publications/pub_prov_par_hab.htm. Retrieved October 11, 2011. ^ Institut de la statistique du Québec. "Nombre de publications scientifiques en sciences naturelles et génie, Québec, Ontario, pays du G8, pays nordiques, certains pays émergents et monde, et part dans le total mondial, 1980 à 2009". Government of Quebec. Archived from the original on April 2, 2012. https://web.archive.org/web/20120402145402/http://www.stat.gouv.qc.ca/savoir/indicateurs/publications/pub_pays_total.htm. Retrieved October 11, 2011. ^ Institut de la statistique du Québec. "Les publications scientifiques québécoises de 1991 à 2000". Government of Quebec. Archived from the original on April 2, 2012. https://web.archive.org/web/20120402145410/http://www.stat.gouv.qc.ca/savoir/publications/points/points_publications_juin03.pdf. Retrieved October 11, 2011. ^ Canadian Space Agency (May 7, 2001). "RADARSAT-1 Climate Change". Government of Canada. Archived from the original on August 26, 2011. https://web.archive.org/web/20110826024711/http://www.asc-csa.gc.ca/eng/educators/resources/radarsat/q-a.asp. Retrieved July 5, 2011. ^ Canadian Space Agency. "Construction and cost". Government of Canada. Archived from the original on August 26, 2011. https://web.archive.org/web/20110826024726/http://www.asc-csa.gc.ca/eng/satellites/radarsat1/construction.asp. Retrieved July 5, 2011. ^ Canadian Space Agency. "SCISAT Team and partners". Government of Canada. Archived from the original on August 26, 2011. https://web.archive.org/web/20110826024702/http://www.asc-csa.gc.ca/eng/satellites/scisat/contractors.asp. Retrieved July 5, 2011. ^ Investissement Québec (2010). "Aerospace in Quebec" (PDF). IQ InvestQuebec. Archived from the original on May 27, 2011. http://www.investquebec.com/documents/en/secteur/Aerospace.pdf. Retrieved May 3, 2010. ^ Radio-Canada (December 9, 2010). "A fourth planet around the star HR 8799" (in french). CBC news – Radio-Canada. Archived from the original on April 19, 2014. http://ici.radio-canada.ca/nouvelles/science/2010/12/09/001-exoplanete-hr8799e-marois.shtml. Retrieved July 5, 2011. ^ Radio-Canada (January 21, 2009). "A trio of astronomers awarded" (in french). CBC news – Radio-Canada. Archived from the original on April 19, 2014. http://ici.radio-canada.ca/nouvelles/science/2009/01/21/001-Embargo-scientifiques2008.shtml. Retrieved July 5, 2011. ^ Radio-Canada (September 29, 2009). "NASA the first client" (in french). CBC news – Radio-Canada. Archived from the original on April 19, 2014. http://ici.radio-canada.ca/nouvelles/science/2009/09/29/001-camera-udm-nasa.shtml. Retrieved July 5, 2011. ^ University of Montreal (May 18, 2010). "Olivier Daigle named La Presse Personality of the week – Radio-Canada" (in french). University of Montreal. Archived from the original on July 18, 2011. https://web.archive.org/web/20110718063207/http://www.nouvelles.umontreal.ca/campus/prix-et-distinctions/20100518-olivier-daigle-nomme-personnalite-de-la-semaine-la-presse-radio-canada.html. Retrieved July 5, 2011. ^ Baril, Daniel (September 28, 2009). "La NASA acquiert une caméra conçue à l'UdeM" (in french). University of Montreal. Archived from the original on March 24, 2011. https://web.archive.org/web/20110324073227/http://www.nouvelles.umontreal.ca/recherche/sciences-technologies/la-nasa-acquiert-une-camera-concue-a-ludem.html. Retrieved July 5, 2011. ^ Gazaille, Julie (April 26, 2010). "Québec Science remet le Prix du public Découverte de l'année 2009 à un chercheur d'étoiles" (in french). University of Montreal. Archived from the original on July 18, 2011. https://web.archive.org/web/20110718063426/http://www.nouvelles.umontreal.ca/campus/prix-et-distinctions/20100426-quebec-science-remet-le-prix-du-public-decouverte-de-lannee-2009-a-un-chercheur-detoiles.html. Retrieved July 5, 2011. ^ Cliche, Jean-François (October 6, 2009). "Un oeil de lynx pour la NASA grâce à un Lévisien" (in french). Cyberpresse Le Soleil. Archived from the original on January 13, 2010. http://www.cyberpresse.ca/le-soleil/actualites/science-et-technologie/200910/05/01-908724-un-oeil-de-lynx-pour-la-nasa-grace-a-un-levisien.php. Retrieved July 5, 2011. ^ Investissement Québec. "Life sciences". IQ InvestQuebec. Archived from the original on May 27, 2011. http://www.investquebec.com/documents/en/publications/BrochureSciences2010_en.pdf. Retrieved July 5, 2011. ^ Ministère des Transports du Québec (MTQ). "MISSION, RÔLE ET MANDAT". Role of the Department of Transportation of Quebec. Government of Quebec. Archived from the original on March 26, 2012. http://www.femmescentreduquebec.qc.ca/cd/mtq.pdf. Retrieved July 6, 2011. ^ Ministère des Transports du Québec (2007). "Quebec road network". Government of Quebec. Archived from the original on November 13, 2008. https://web.archive.org/web/20081113234955/http://www.mtq.gouv.qc.ca/portal/page/portal/grand_public/vehicules_promenade/reseau_routier. Retrieved August 16, 2007. ^ a b Québec (2007). "Quebec Portal: Transport". Government of Quebec. Archived from the original on October 12, 2007. http://www.gouv.qc.ca/portail/quebec/pgs/commun/portrait?lang=fr&id=pgs.portrait.economie.transport&location=pgs%2Fportrait%2Feconomie%2Ftransport#transferroviaires. Retrieved August 16, 2007. ^ Institut de la statistique du Québec (2007). "Le Québec, chiffres en main: Transport". Government of Quebec. Archived from the original on October 12, 2007. https://web.archive.org/web/20071012210055/http://stat.gouv.qc.ca/publications/referenc/qcem/qcem_eco_tra.htm. Retrieved August 16, 2007. ^ "Railway Gazette: Railway could tap Québec's northern wealth". Railway Gazette International. http://www.railwaygazette.com/nc/news/single-view/view/railway-could-tap-quebecs-northern-wealth.html. Retrieved April 23, 2012. ^ Ministère des Transports du Québec. "Quebec air transport". Government of Quebec. Archived from the original on August 15, 2011. https://web.archive.org/web/20110815150809/http://www.mtq.gouv.qc.ca/portal/page/portal/entreprises/transport_aerien. Retrieved December 10, 2009. ^ La Route verte. "The Route verte puts all of Quebec within reach of your handlebars!". Government of Quebec. Archived from the original on July 15, 2011. http://www.routeverte.com/rv/index2010_e.php. Retrieved July 6, 2011. ^ Séguin, Hugo (April 13, 2010). "Le Québec, la puissance énergétique verte du continent?" (in French). Équiterre. Archived from the original on July 6, 2011. http://www.equiterre.qc.ca/choix-de-societe/blog/le-quebec-la-superpuissance-energetique-verte-du-continent. Retrieved April 28, 2011. ^ Natural Resources Canada (September 14, 2010). "Government of Canada Helps Boost Biofuel Industry". Government of Canada. Archived from the original on September 6, 2012. https://archive.is/20120906231414/http://www.nrcan-rncan.gc.ca/media/newcom/2010/201071-eng.php. Retrieved April 28, 2011. ^ Quebec Ministry of Natural Resources and Wildlife. "Consommation d'énergie par forme" (in French). Quebec Government. Archived from the original on July 6, 2011. http://www.mrnf.gouv.qc.ca/energie/statistiques/statistiques-consommation-forme.jsp. Retrieved April 28, 2011. ^ Quebec Ministry of Natural Resources and Wildlife. "Gros plan sur l'énergie: Production d'électricité" (in French). Quebec Government. Archived from the original on July 20, 2011. http://www.mrnf.gouv.qc.ca/energie/statistiques/statistiques-production-electricite.jsp. Retrieved April 27, 2011. ^ Bourassa, A. G. and J. M. Larrue, (1993). Les nuits de la Main : Cent ans de spectacles sur le boulevard St-Laurent (1891–1991). Montréal, Éditions VLB. p. 118. ISBN 2890055132. ^ a b Office of the Premier (February 8, 2007). "Le premier ministre énonce sa vision et crée une commission spéciale d'étude" (in french). Government of Quebec. Archived from the original on August 27, 2011. http://www.premier-ministre.gouv.qc.ca/actualites/communiques/2007/fevrier/2007-02-08.asp. Retrieved July 7, 2011. ^ Quebec Portal (August 5, 2009). "The Rule of Law". Government of Quebec. Archived from the original on July 20, 2011. http://www.gouv.qc.ca/portail/quebec/pgs/commun/gouv/societedroit/?lang=en. Retrieved July 7, 2011. ^ Ministry of Justice of Quebec (December 1, 2009). "CHARTER OF HUMAN RIGHTS AND FREEDOM". Government of Quebec. Archived from the original on June 13, 2011. https://web.archive.org/web/20110613021637/http://www.cdpdj.qc.ca/en/commun/docs/charter.pdf. Retrieved July 7, 2011. ^ Office québécois de la langue francaise (June 1, 2011). "CHARTER OF THE FRENCH LANGUAGE". Government of Quebec. Archived from the original on May 2, 2003. http://www2.publicationsduquebec.gouv.qc.ca/dynamicSearch/telecharge.php?type=2&file=/C_11/C11_A.html. Retrieved July 7, 2011. ^ "Folk Song and Music in Quebec: a Brief Introduction, by Stephen D. Winick, Ph.D.: Expanded Liner Notes (Le temps des Fetes, Washington Revels, revelsdc.org/canadiancd)". Archived from the original on September 8, 2017. http://revelsdc.org/canadiancd/article.html. ^ Donald Loignon. "Répertoire des artistes québécois" (in french). DLP multimédia. Archived from the original on July 27, 2011. http://www.repertoiredesartistesquebecois.org/index2.asp. Retrieved July 6, 2011. ^ Plouffe, Hélène. "À la claire fontaine". The Canadian Encyclopedia. Archived from the original on August 6, 2011. http://thecanadianencyclopedia.ca/en/article/a-la-claire-fontaine-emc/. Retrieved July 6, 2011. ^ ADISQ. "Notre raison d'être, c'est la musique de votre quotidien". Association québécoise de l'industrie du disque, du spectacle et de la vidéo. Archived from the original on July 18, 2011. https://web.archive.org/web/20110718175149/http://www.adisq.com/assoc-profil.html. Retrieved June 23, 2011. ^ "L'Association des producteurs de films et de télévision du Québec". APFTQ. Archived from the original on July 6, 2011. https://web.archive.org/web/20110706201401/http://www.apftq.qc.ca/fr/apftq/mission.asp. Retrieved June 25, 2011. ^ ARCQ. "L'Association des radiodiffuseurs communautaires du Québec, historique" (in French). RadioVision. Archived from the original on July 6, 2011. https://web.archive.org/web/20110706202316/http://radiovision.ca/arcq/. Retrieved July 14, 2011. ^ "Mission Télé-Québec" (in French). Télé-Québec. Archived from the original on July 7, 2011. http://www.telequebec.tv/corporatif/. Retrieved July 14, 2011. ^ "About CBC/Radio-Canada". CBC corporation. Archived from the original on July 9, 2011. https://web.archive.org/web/20110709072730/http://www.cbc.radio-canada.ca/about/. Retrieved July 14, 2011. ^ La soirée des Jutra. "La soirée des Jutra – À propos de nous" (in French). Radio-Canada. Archived from the original on March 9, 2010. https://web.archive.org/web/20100309204726/http://www.lesjutra.ca/apropos.php. Retrieved July 14, 2011. ^ "Littérature patriotique du Québec" (in French). Litterature-quebecoise.org. Archived from the original on July 27, 2011. http://www.litterature-quebecoise.org/patriote.htm. Retrieved June 25, 2011. ^ "Littérature du terroir québécois" (in French). Litterature-quebecoise.org. Archived from the original on July 27, 2011. http://www.litterature-quebecoise.org/terroir.htm. Retrieved July 5, 2011. ^ "Centres culturels au Québec" (in French). Quebecvacances.com. Archived from the original on July 15, 2011. http://www.quebecvacances.com/centre-culturel. Retrieved July 5, 2011. 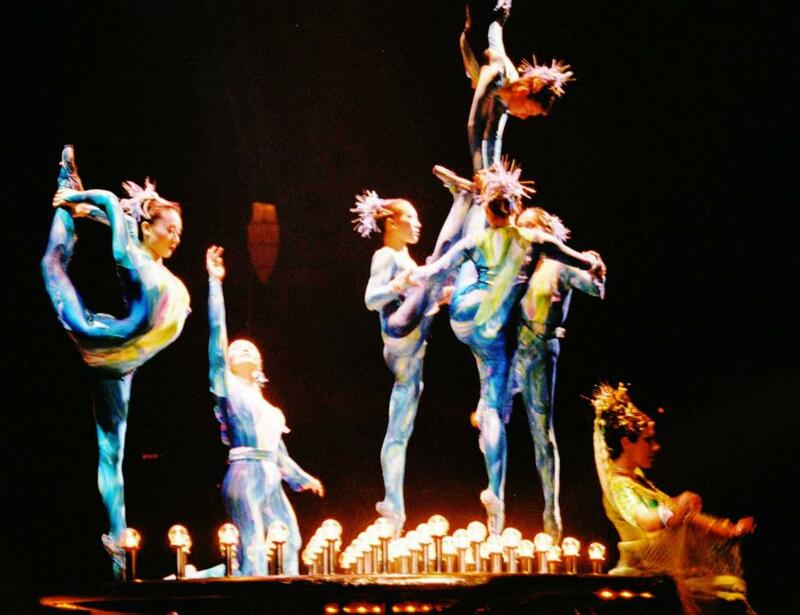 ^ Cirque du Soleil. "Cirque du Soleil Inc.". Company history. Funding Universe. Archived from the original on August 23, 2011. http://www.fundinguniverse.com/company-histories/Cirque-du-Soleil-Inc-Company-History.html. Retrieved June 27, 2011. ^ Tellier, Chantal. "Le fabuleux destin du cirque québécois" (in French). ELLE Québec. Archived from the original on September 12, 2011. http://www.ellequebec.com/societe/fabuleux-destin-du-cirque-quebecois/a/25816. Retrieved July 14, 2011. ^ "Tohu". Tohu – Historic and mission. Tohu, La cité des arts et du cirque. Archived from the original on July 6, 2011. https://web.archive.org/web/20110706205825/http://www.tohu.ca/en/TOHU/. Retrieved June 27, 2011. ^ Portal of Quebec. "Culture of Quebec". Culture and Heritage. Government of Quebec. Archived from the original on June 7, 2011. http://www.gouv.qc.ca/portail/quebec/pgs/commun/portrait/culture/?lang=en#Heritage. Retrieved June 27, 2011. ^ Ministère de la Culture, de la Communication et de la Condition féminine (April 11, 2011). "Agreement on the usage of Churches in Quebec". Government of Quebec. Archived from the original on July 6, 2011. http://www.mcccf.gouv.qc.ca/index.php?id=2769. Retrieved July 5, 2011. ^ Historic Sites & Monuments Board of Canada. "About the Historic Sites and Monuments Board of Canada – Duties". Archived from the original on October 6, 2012. https://web.archive.org/web/20121006084636/http://www.pc.gc.ca/clmhc-hsmbc/crit/crit2_e.asp. Retrieved August 23, 2010. ^ "GAUTHIER, Serge. ''La fin des téléromans à l'ancienne? '', Bibliothèque et Archives nationales, mai 2005." (PDF). Archived from the original on February 23, 2011. http://bibnum2.banq.qc.ca/bna/actionnationale/src/2005/05/05/09/2005-05-05-09.pdf. Retrieved July 5, 2011. ^ Canoe inc. (September 20, 2013). "Un anniversaire douloureux". Fr.canoe.ca. http://fr.canoe.ca/sports/nouvelles/hockey/canadiens/archives/2009/12/20091205-065501.html. Retrieved September 29, 2013. ^ "Who won team canada's 29 medals in Pyeongchang". Archived from the original on March 14, 2018. https://olympic.ca/2018/02/25/who-won-team-canadas-29-medals-in-pyeongchang/. ^ "Amiral [Toile des insectes du Québec — Insectarium ]". .ville.montreal.qc.ca. May 29, 2001. Archived from the original on April 13, 2010. https://web.archive.org/web/20100413163022/http://www2.ville.montreal.qc.ca/insectarium/toile/info_insectes/fiches/fic_fiche08_amiral.htm. Retrieved July 11, 2010. Garneau, Josiane E. (2010). "The CRISPR/Cas bacterial immune system cleaves bacteriophage and plasmid DNA". 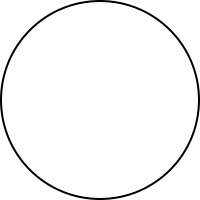 Nature 468 (7320): 67–71. DOI:10.1038/nature09523. PMID 21048762. Demeule, M. (2002). "High transcytosis of melanotransferrin (P97) across the blood–brain barrier". Journal of Neurochemistry 83 (4): 924–33. DOI:10.1046/j.1471-4159.2002.01201.x. PMID 12421365. Casino, Joseph J. (1981). "Anti-Popery in Colonial Pennsylvania". Pennsylvania Magazine of History and Biography 105 (3): 279–309. Anderson, Fred (2000). Crucible of Wars: The Seven Years' War and the Fate of Empire in British North America, 1754–1766. New York: Knopf. ISBN 0-375-40642-5. https://books.google.com/books?id=-vMxLslZopgC&pg=PR1. Cave, Alfred A. (2004). The French and Indian War. Westport, Connecticut – London: Greenwood Press. ISBN 0-313-32168-X. https://books.google.com/books?id=iiZoWyv77qQC&lpg=PP1&dq=French%20and%20Indian%20Wars&pg=PP1#v=onepage&q&f=true. Courville, Serge; Richard Howard (2009). Quebec: A Historical Geography. Univ of British Columbia Press. ISBN 978-0-7748-1426-3. https://books.google.com/books?id=NDDs1HJWfOQC&lpg=PP1&dq=Quebec&pg=PP1#v=onepage&q&f=true. Dickinson, John Alexander; Brian J. Young (2003). A short history of Quebec. McGill-Queen's University Press. ISBN 0-7735-2393-6. https://books.google.com/books?id=kRHmr-rDFrwC&lpg=PP1&dq=Quebec&pg=PP1#v=onepage&q&f=true. Gauvreau, Michael (2005). The Catholic origins of Quebec's Quiet Revolution, 1931–1970. McGill-Queen's University Press. ISBN 0-7735-2874-1. https://books.google.com/books?id=Jz7uyc94sUYC&lpg=PP1&dq=Quebec&pg=PP1#v=onepage&q&f=true. Hunter, William A. (1999). Forts on the Pennsylvania Frontier, 1753–1758. Wennawoods. ISBN 1-889037-20-6. Kokker, Steve (2002). Québec. Lonely Planet. ISBN 1-74059-024-4. https://books.google.com/books?id=iZB5AQ02PfIC&lpg=PA11&dq=Quebec&pg=PP1#v=onepage&q&f=true. Lefkowitz, Arthur S. (2008). Benedict Arnold's Army: The 1775 American Invasion of Canada during the Revolutionary War. El Dorado Hills, California: Savas Beatie. ISBN 1-932714-03-0. Maclure, Jocelyn (2003). Quebec identity: the challenge of pluralism. McGill-Queen's University Press. ISBN 0-7735-2553-X. https://books.google.com/books?id=rDq-VVN4XtcC&lpg=PP1&dq=Quebec&pg=PP1#v=onepage&q&f=true. Riendeau, Roger E. (2007). A brief history of Canada. New York, NY: Infobase Publishing. ISBN 0-8160-6335-4. https://books.google.com/books?id=CFWy0EfzlX0C&printsec=frontcover#v=onepage&q&f=true. Retrieved July 12, 2011. Scott, Colin (2001). Aboriginal autonomy and development in northern Quebec and Labrador. UBC Press. ISBN 0-7748-0844-6. https://books.google.com/books?id=bT6-05HTyFUC&lpg=PP1&dq=Quebec&pg=PP1#v=onepage&q&f=true. Taucar, Christopher Edward (2002). Canadian Federalism and Quebec Sovereignty. Peter Lang. ISBN 0-8204-6242-X. https://books.google.com/books?id=t17352tmB74C&lpg=PP1&dq=Quebec&pg=PP1#v=onepage&q&f=true. Babin, Andrée (1986). L'interatlas: Ressources du Québec et du Canada. Montréal: Centre éducatif et culturel. ISBN 2-7617-0317-0. Binot, Guy (2004). Pierre Dugua de Mons: gentilhomme royannais, premier colonisateur du Canada, lieutenant général de la Nouvelle-France de 1603 à 1612. Vaux-sur-Mer: Bonne anse. ISBN 2-914463-13-8. Brûlotte, Suzanne (2009). Les oiseaux du Québec. Boucherville: Éditions Broquet. ISBN 2-89654-075-X. Liebel, Jean (1999). Pierre Dugua, sieur de Mons, fondateur de Québec. Paris: Le Croît vif. ISBN 2-907967-48-7. This page uses content from the English language Wikipedia. The original content was at Quebec. The list of authors can be seen in the page history. As with this Familypedia wiki, the content of Wikipedia is available under the Creative Commons License.